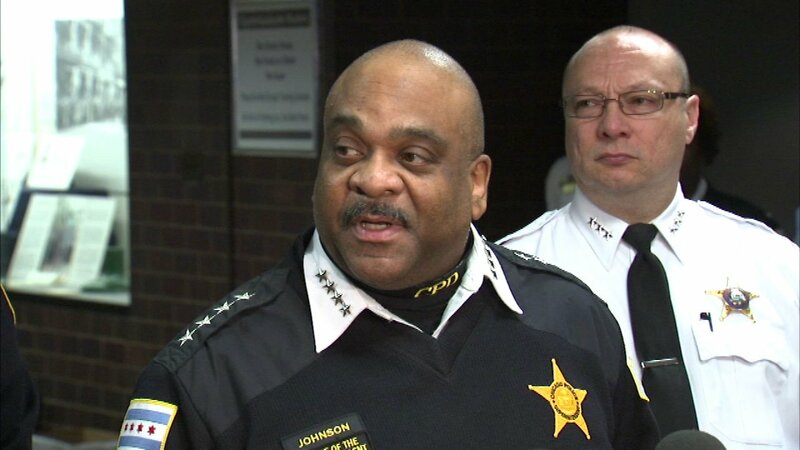 SPRINGFIELD, Ill. (WLS) -- A spokesman for the Chicago Police Department said Chicago Police Superintendent Eddie Johnson briefly fainted at an event for law enforcement Friday. Spokesman Anthony Guglielmi said while Johnson was at an event in Springfield, he briefly experienced lightheadedness and fell on stage. Johnson got up and was taken to an area hospital for a routine evaluation. Doctor determined the spell was caused by Johnson's blood pressure medication, which was taken without eating. Guglielmi said Johnson is doing "very well" and is in good spirits. A spokesperson for Mayor Rahm Emanuel said the mayor spoke with Johnson Friday afternoon and found him "in his usual good spirits & cracking jokes." In January, Johnson revealed he was on the waiting list for a kidney donation after a similar incident, in which he became faint at a morning press conference about CPD violence prevention tactics. That incident was also caused by the superintendent taking his blood pressure medication on an empty stomach. In the wake of his health scare, Johnson revealed he had been battling kidney disease for 32 years. He received a kidney from his 25-year-old son Daniel in August.